One of the smartphones that South Korean mobile phone maker LG Electronics is expected to bring to the market in the coming months is a premium flavor of the LG G3, which appears to have been confirmed with a Snapdragon 805 processor inside. The handset has been spotted online with model number LG F460L attached to it and with the codename of Tiger, while said to feature the Qualcomm APQ8084 chipset inside, which suggests that it could be released as the upgraded flavor of LG G3. Moreover, the handset is said to sport a quad-core Krait 450 CPU, along with Adreno 420 graphics, and obi True 4G LTE (MDM9635) Modem. Moreover, it also includes support for LP-DDR3 memory, as mylgphones points out. At the same time, the yet unannounced mobile phone is said to sport a Quad HD (1440 x 2560 pixels) touchscreen display, which would perfectly be in line with the rumor that it is a new flavor of LG G3. The specs list of this handset also includes 3GB of RAM, along with 16GB of internal memory, and a 13-megapixel camera on the back. Moreover, the handset runs under the Android 4.4.2 KitKat operating system. Basically, the only difference between the new handset, model LG F460, and the LG G3, which was launched as LG F400, is the fact that they sport different chipsets inside. However, no official confirmation on whether this is indeed the Snapdragon 805-based flavor of the flagship phone has been provided as of now, and we’ll take the info above with a grain of salt. On the other hand, you should keep in mind the fact that LG has been long rumored to plan the release of this LG G3 Prime model, which would allow it to better compete against two new handsets from Samsung, namely Galaxy S5 LTE-A, and Galaxy F.
In the meantime, however, we should note that another unannounced smartphone from LG has popped online recently, allegedly featuring model number LG F490L. According to info coming from Twitter user @UpLeaks, the handset will arrive on the market with LG’s Odin processor packed inside, yet no further details on the device have been provided as of now, and we'll take the info with a grain of salt. The South Korean vendor has been long rumored to plan the release of such a handset, yet the company appears to have delayed plans on the matter, without offering specific info on when it might launch the smartphone. 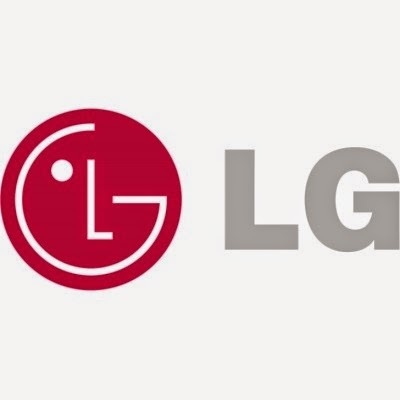 Hopefully, it won’t be too long before both LG F460L and LG F490L are formally introduced, so keep an eye on this space to learn more on the matter.